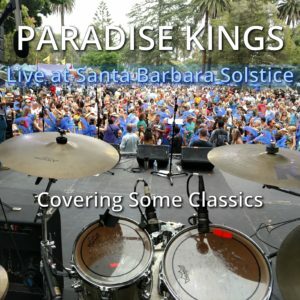 This fun EP was recorded when we played the Santa Barbara Solstice party in the Summer of 2018. It’s six songs of all cover tunes that we all really enjoy playing. We hope you enjoy listening to it. You can get it on Spotify. Just search Paradise Kings. Thanks so much for your support. We really appreciate it. 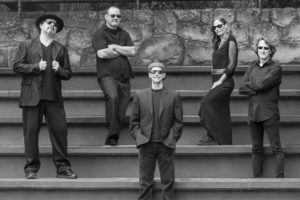 Paradise Kings nominated for Best Blues Band for the second-half of 2017 by LA Music Critic! We think that 2017 will go down as one of the most prolific years in outstanding music being released by indie artists. We received and reviewed so many that we had to change the review period. 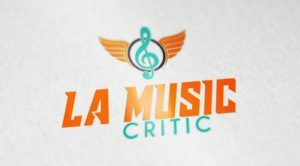 Consequently, we considered more than 235 albums and EPs that were released between July 1 and November 30, 2017, in compiling our nominations for the LA Music Critic Awards. Albums and EPs released from December 1, 2017 through May 31, 2018 will be considered for the first half awards of 2018. Fans are encouraged to vote for the Fan Favorite Award. To vote for your favorite, simply leave a comment below in the following format: “I vote for (name of artist) for Fan Favorite.” No other comments will be counted toward the Fan Favorite Award, and each reader may only vote once. Comments made on other social media sites will not count. Fans are also encouraged to comment on other award nominations, and those comments will be reviewed by the Awards committee. However, they will not count for the Fan Favorite Award unless the comment specifically says that the artist is being nominated for the Fan Favorite Award. The deadline for voting for the Fan Favorite Award is Wednesday, January 31, 2018, at midnight MST. The full list of winners will be announced at 6 p.m. MST on Friday, February 2, 2018. Without further delay, here are the nominations. BEST EP (Group) – Mare Island, Eponymous; TYA, No Money, More Love; RVBY My Dear, Cycles; Social Repose, Empress; Surf Rock is Dead, We Have No Friends? We encourage to subscribe so you can keep up with the Awards and with our blog year-round. We’ll be back tomorrow with the first reviews for the next cycle. Here’s a copy of the post they ran. Thanks so much Tony Corner for Choosing Paradise Kings from literally thousands of bands. We made the final 44 bands, which will be played on Sunday, December 17 on his radio show booming from England. Thanks again; we’re very grateful. Below is what Tony sent us. “Coming up on our Blues Corner radio show this Sunday December 17th , starting at 6PM UK Time (US – 10AM Pacific/12PM Central/1pm Eastern), we have Part 2 of our Picks of the Year for 2017. There’ll be 44 songs as the second part of the picks for 2017. The list has been whittled down from 694 artists and over 7030 songs submitted during the year. 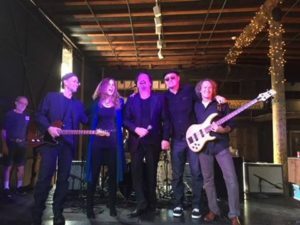 Paradise Kings are honored with Music Connection Magazine Band To Watch in 2018! That’s right, we’re grateful that nationally-distributed magazine, Music Connection, has placed Paradise Kings on their list of bands to look out for in the upcoming year. We’re very honored and humbled that the editors have decided to place us on this list. Controlled Burn Wins Best Self-Produced CD in Santa Barbara! It’s going to Memphis to Compete for a National Award!! win an award! We’ll see!!! We’d love to hear from you, whether you are planning an event or just want to join our fan newsletter. Drop us a quick note and we’ll be in touch!